The War Vet Museum is a non- profit organization dedicated to honoring all who served in our nation's military. Through education we teach the youth to appreciate our freedoms. All artifacts are donated and museum operations are run off of generous donations. Follow us on social media or email us for up to date news on our current renovation progress, museum improvement projects, events, tours, and other activities. 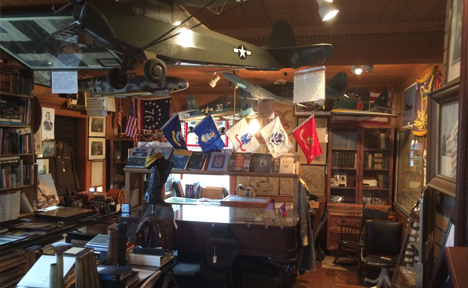 The War Vet Museum is a 501(c)(3) nonprofit organization founded in 1988 by Lew & Joyce Speece. 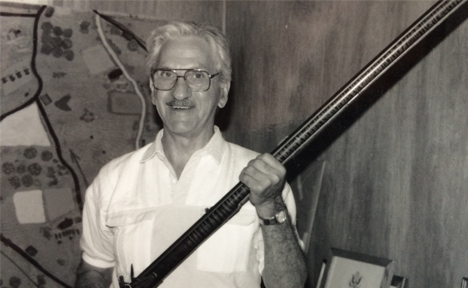 Lew was a World War II Marine Corps veteran (6th Marines tank battalion) and the commander of the American Legion Post 177 from 1980 to 2013. 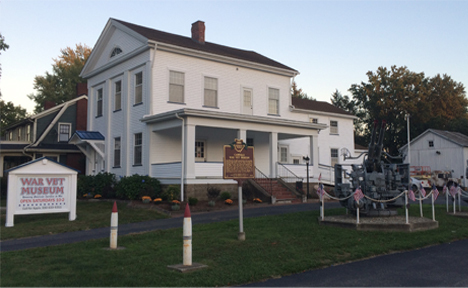 The museum was founded by Lew and Joyce to honor all who served in the U.S. military and was the home to American Legion Post 177 for many years. The house was built in 1809 and is the oldest house in Canfield still on its original foundation. The house was renovated in the late 1980s to create a home for the museum. In 2015 we began the process of renovating the house once again. The barn was originally built on the property in 1810 and was moved back to the property in 2004 in an effort to preserve it. Click the link below this section to learn more about the current renovation progress. The War Vet Museum houses over 40,000 artifacts from the Revolutionary War to the modern day war on terror. There are three floors and a basement full of history honoring veterans and teaching about America's past. All items are donated and many tell a unique and personal story. All items displayed are donated and are not bought or sold. Once an artifact finds its home at the museum, it is here to stay and be enjoyed by generations to come. Our displays are always being updated so come in and see what's new. 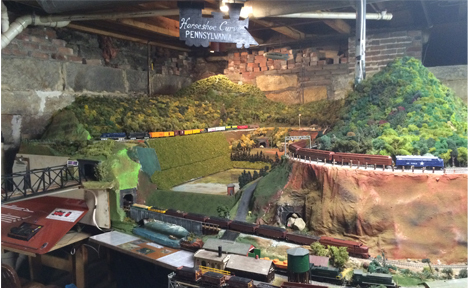 The Canfield Model Railroaders of the War Vet Museum displays are housed in the basement. The ever-evolving layouts are continually growing and changing due to the hard work of our volunteers. Come in and see whats new on the train displays during museum operating hours. Help keep history alive! The museums operations are completely run from your generous donations. The War Vet Museum is a 501(c)(3) non-profit organization and all donations are tax deductable. Click below to make a monetary donation or contact us to donate artifacts or help in other ways.